CDC is here to accommodate full-time working individuals looking for a new career as well as dental professionals that are looking for continuing education. We offer our courses every weekend taught by a knowledgeable staff that are dental professionals. Many have questions regarding our courses, schedule, and facilities etc. Below are some answers to your questions before signing up for our courses. CDC is located in Downtown San Diego and although we do not provide parking for students attending our courses CDC is surrounded by plenty of locations for parking to fit any budget. When attending class on a Sunday all street and meter parking as long as you arrive early are free to find a place to park. Doors open at 9am and classes begin by 9:15 am. Students who arrive late will be rescheduled to attend class the following week. All walk in students are welcomed if class space is available. No additional registration fee or cost will be due. Please come join us! If you think you are pregnant or may be pregnant prior to registration or attending any scheduled classes you must notify California Dental Certifications. Attendance of classes will require the student to provide a medical release from your doctor. Or you may re-schedule for a future class date. CDC will furnish all supplies required by students. It is the responsibility of each student to meet all program requirements by following OSHA guidelines. Specific courses will require the student to provide Social Security number. Disposable lab coats and protective eyewear will be available. Do I have to wear scrubs? Yes, it is a requirement to follow OSHA guidelines. ALL students must wear uniform scrubs (no t-shirts or jeans are accepted) and tennis shoes (dress shoes are not acceptable) to attend class, NO exceptions. If requirements are not followed you will be rescheduled for a following date. Do I need patients to complete my course? CDC does not provide patients for students to complete a course and receive certification. It is the responsibility of the student to bring in patients as required. Due to limited space within our facility waiting room, only students and patients will be allowed in our facility. PLEASE DO NOT BRING CHILDREN UNLESS PREVIOUS ARRANGEMENTS HAVE BEEN MADE. *X-Ray students – do not bring your patients in until AFTER instructed to do so by your course instructor. What if I need an extension to finish my course? All students have 30 days to complete a course. If a course is not completed within 30 days, a continuation fee of $210 will be charged. Any student that does not complete their course within the 30 days will have the opportunity to retake the course at the full fee. No credit will be applied from any previous incomplete course. Which courses require patients for course completion? *Dentist or a Hygienist may sign off which teeth may have sealants placed. Radiation Safety – 4 patients, these patients can be scheduled on a future Saturday at 9:00AM. *Full mouth series is required for each patient. FMX consists of 18 films. *Must read all restrictions to assure patient can be used for required X-rays. *Do not bring your patients in until AFTER instructed to do so by your course instructor. You can perform the necessary requirements in your doctor office under the supervision of your dentist. If you do not have access to a dental office you may schedule with CDC to bring in your patients to our facility at no extra fee. Can I keep the training materials? All materials supplied to students are the property of California Dental Certifications and is are restricted for student use only. Student agrees that they will not make copies or distribute these materials without written authorization from CDC. CDC holds the exclusive rights on objects, illustrations, recorded documents, video sequences, and texts. Copying or use of these objects, illustrations, recorded documents, video sequences, and texts in other electronic or printed publications shall not be allowed without our express consent. CDC shall be exclusively entitled to all rights regarding this site. Guests of California Dental Certifications receive a preferred rate at The Bristol Hotel. Click on the link below to book your reservation or type CDC in the promo code box upon booking. Can I get a new certification? Students have the right to cancel any courses that have been paid in full. Cancellation shall occur when a student has provided written notice of cancellation in person, via email, or mailed the address of the school. Student will be eligible for a full refund of tuition, less non-refundable registration fees, and the cost of any outstanding materials, or books. Refund will be sent via check no later than 45 days after notice of cancellation was received. What does a dental assistant do in a dental office? Once you become a dental assistant your education never stops. CDC offers all continued eduction required by the Dental Board of California. 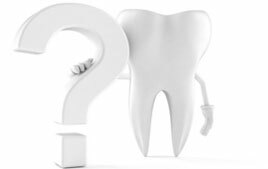 What are some job possibilities when I finish the Dental Assisting Course? Do I need to bring in a High School Diploma for any course I take? Yes. Please bring in a ready prepared COPY. You will need to provide one of the following: A GED, High School Diploma or Higher Education Diploma, example: College or University. Transcripts will also be accepted. Diplomas from a different country and language are acceptable. If you can’t locate it, please go to this link and add this to your cart. This test will be accepted in place of your diploma, ect. After you have purchased this Wonderlic test, please contact the school. CDC will send you the invitation to take the test. Once you are finished the test it will be automatically sent to us. This is a 30-40 minute test that will asses you in 6th grade basic english & math. If you are unable to attend your class, CDC must be notified 48 hours in advance in order to reschedule your class at no additional charge. Failure to attend class on your scheduled class date without sufficient notice to CDC will result in a $50 fee being charged. Class begins at 9:00 a.m. The doors will be locked at 9:15 a.m. and you will not be admitted to class. If you are sick or arrive with the flu, coughing, stuffy nose, hay fever, allergies, etc., you will be sent home. You are cross contaminating to fellow students and patients when you are sick. Not wearing OSHA required top and bottom scrubs. Jeans and sweats are not acceptable. Not wearing OSHA required closed toe shoes. Crocs/Gator type shoes are acceptable with covered toes. Absence or tardiness due to family illness or death, unforeseen circumstances with children, family or friends, auto trouble or traffic. The reschedule fee of $50 will be applied for the above reasons if CDC is not notified 48 hours in advance. Failure to attend on the scheduled class date without notification of any kind or upon a second reschedule from a student will forfeit entire course enrollment payment. In addition, no refunds will be provided. The student will have the opportunity to retake the course at full fee. No credit will be applied from previous incomplete or unattended course. California Dental Certifications reserve the right to reschedule classes with or without notice and will accommodate a new schedule within a reasonable time.